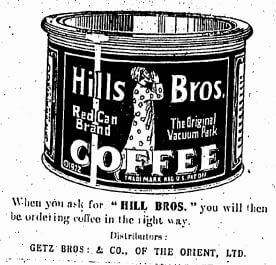 “Getz Bros. & Co.- America’s largest non-commodity international marketing and services company – traces its beginnings to 1860 and a place called Lower Lake, California, a frontier area one hundred miles north of San Francisco. Joseph Getz, a Prussian immigrant, opened a general store there that served farmers in the area, selling dry goods and groceries. 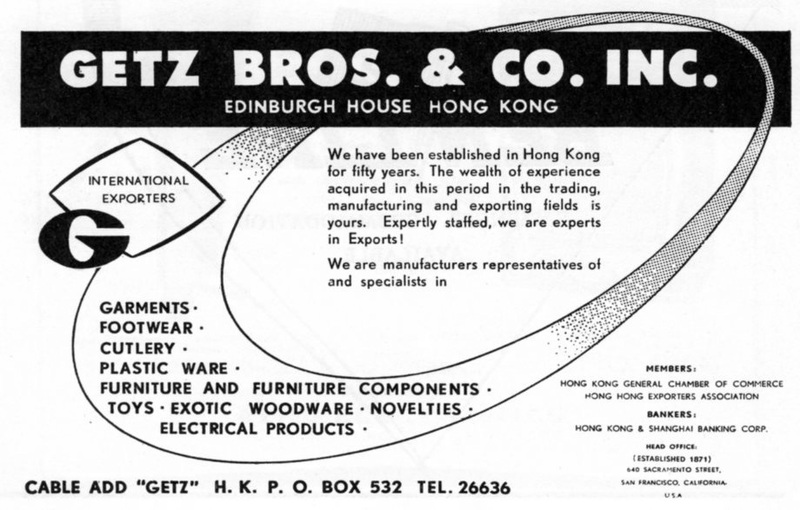 By the early 1880s Getz Bros. was exporting food products to customers in Shanghai and Hong Kong, which later led to the opening of the first Getz overseas office, in Shanghai. The company did well shipping foodstuffs to China, its reach soon extending beyond Shanghai into northeast China, a populous region with an appetite for the cheese, oils, and meat products Getz exported. With World War I came the opportunity for the firm to greatly increase its penetration in China, as British and other European traders exited the market. Getz Bros. opened a second branch office in Hong Kong to serve south China with an expanded selection of American-produced hardware, house wares, and packaged goods, in addition to its established line of food products. This article was first posted on 11th May 2017.